Happy Tuesday to you. 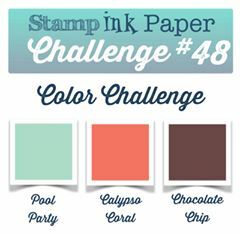 We have a colour challenge this week at Stamp Ink Paper. 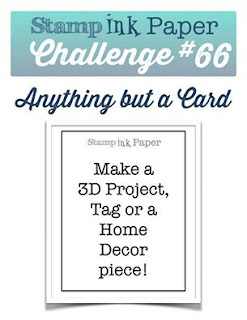 I was able to incorporate all three colours for the challenge in both cardstocks and inks and I've used retiring stamp set World of Dreams punching out the images with the Note tag punch which has also been retired. The greeting is from the Rose Wonder stamp set and the background has been embossed with the Woodgrain Embossing Folder. Some neural candy dots finished off the tags. Thanks for joining us this week at Stamp Ink Paper, we can't to see what you create with these colours. Please make sure you check out the other design team projects this week for more inspiration.